Nitrox is our premier fuel additive range designed to appeal to those who want to legally boost engine performance. Nitrox additives are all dual action; cleaning the vehicles fuel systems causing the engine to burn fuel more efficiently, as well as producing immediate power boost, improving engine power and response. Nitrox Petrol/ Diesel boosts Octane/Cetane levels, pushing the engine to reach its maximum potential. 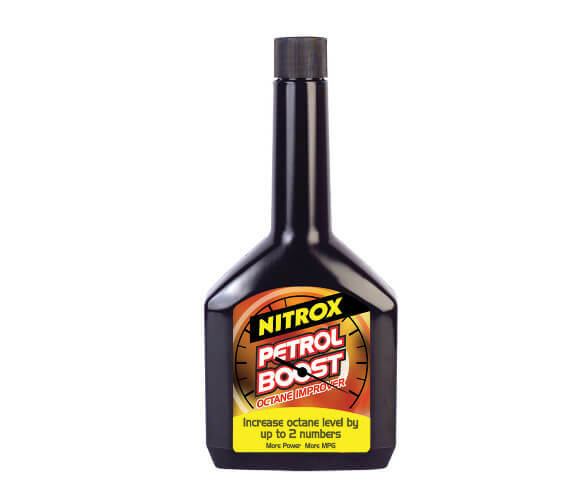 Nitrox Petrol Boost is a dual purpose product which has been specially formulated to maximise the performance of petrol engine vehicles by increasing the octane level of fuel and cleaning the entire fuel system. 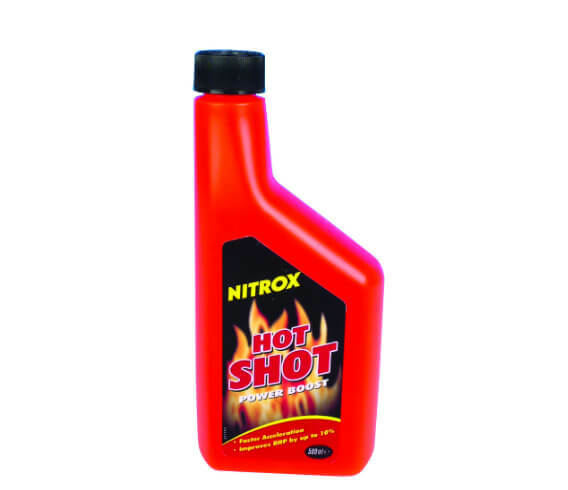 Nitrox Hot Shot Power Boost completely cleans the entire fuel system of your car, removing carbon gum and dirt build up, freezing injector systems, as well as cleaning carburetors, combustion chambers and cylinder heads. 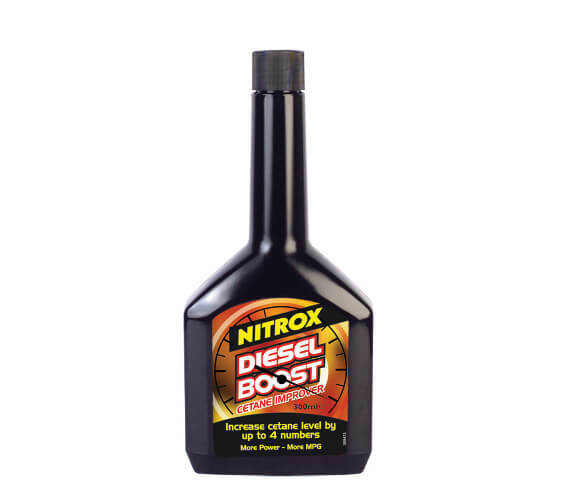 Nitrox Diesel Boost is a dual purpose product which has been specially formulated to maximise the performance of diesel engine vehicles by increasing the cetane level of fuel and by cleaning up fuel injectors and combustion chambers.